What do you look for in a mascara? For most of us, it would be volume and length. 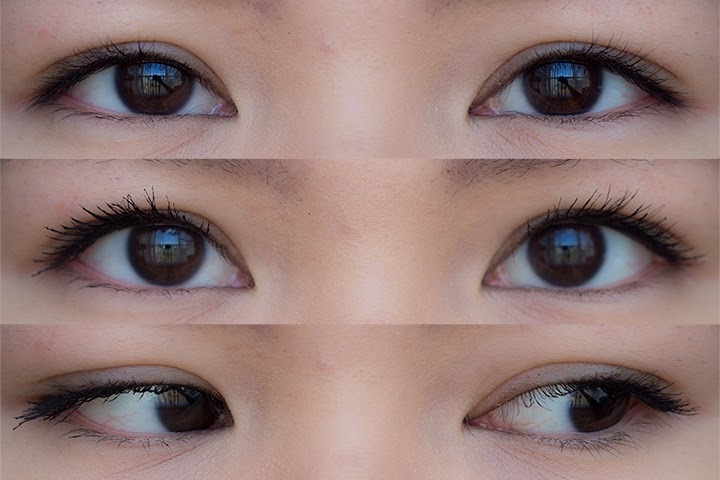 One factor that we all subconsciously consider is the shape that the mascara provide. That is why there are so many different kinds of false lashes out there with different shapes. 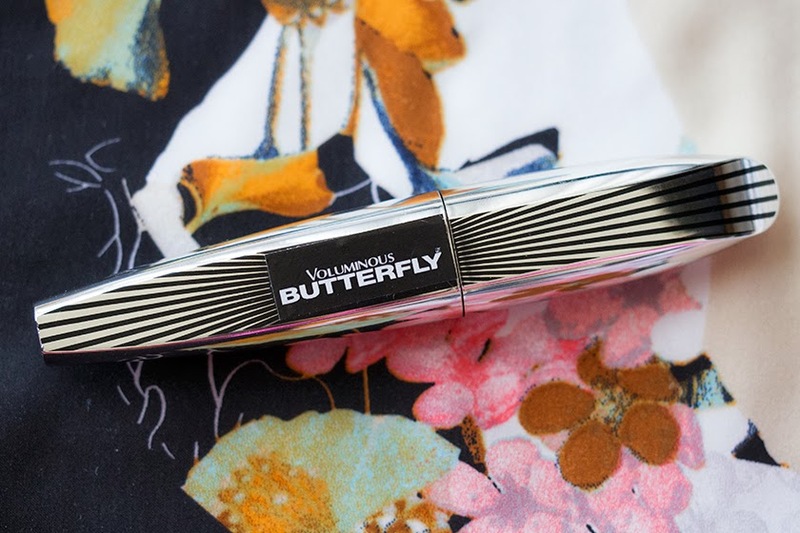 If you happened to be a fan of flared-out false lashes, you may want to check out the new L'Oréal Paris Voluminous Butterfly Mascara* (CA $11.99) to flare out your own lashes. 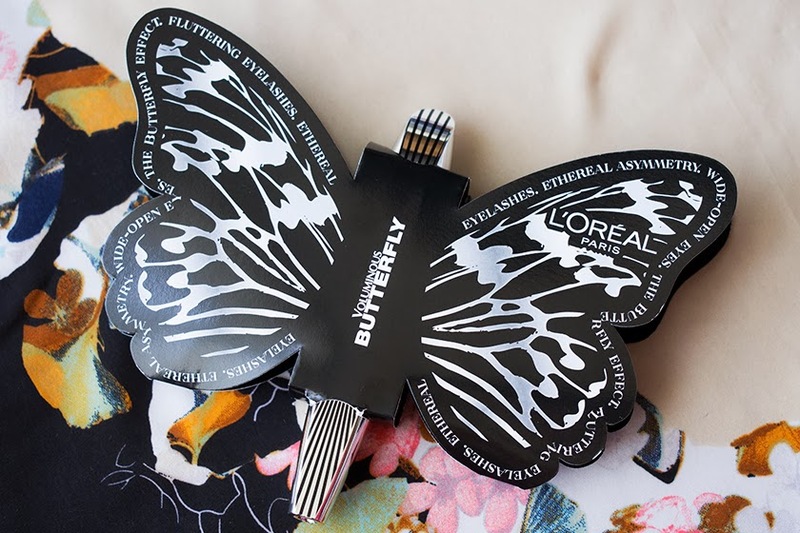 The L'Oréal Paris Voluminous Butterfly Mascara is the newest member to their best selling Voluminous Mascara range. Like its sister mascaras, it aims to provide volume to your lashes. But what makes this so much different is the wand. It is of an asymmetrical shape, to the point that it looks like a triangle on the side, or, as they put it, a wing of a butterfly. The wand is the key to the flared-out look of lashes because it combs your lashes outward from the centre of your face. 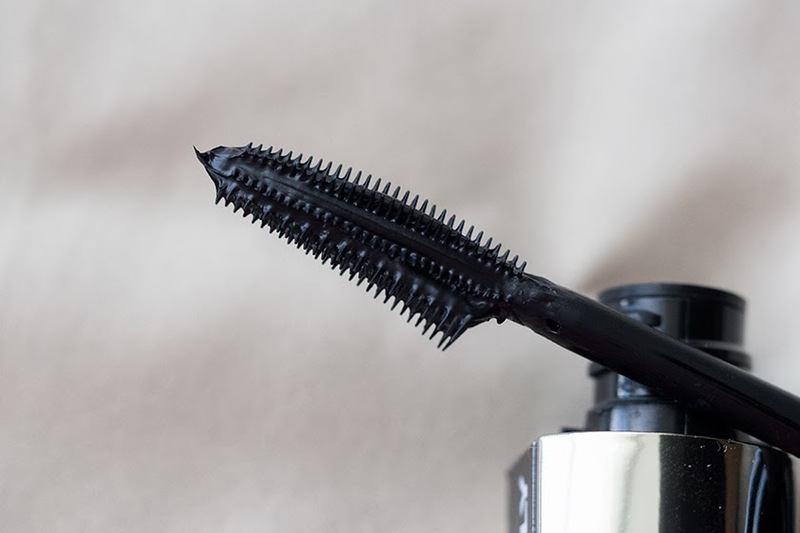 Also, much like the Voluminous Million Lashes, it comes with plastic spikey wand that achieves the same purpose in terms of separation of the lashes. I also feel that it works quite similarly as Million Lashes because it does make it look like I have more lashes than I actually do. I think this has to do with its formula. 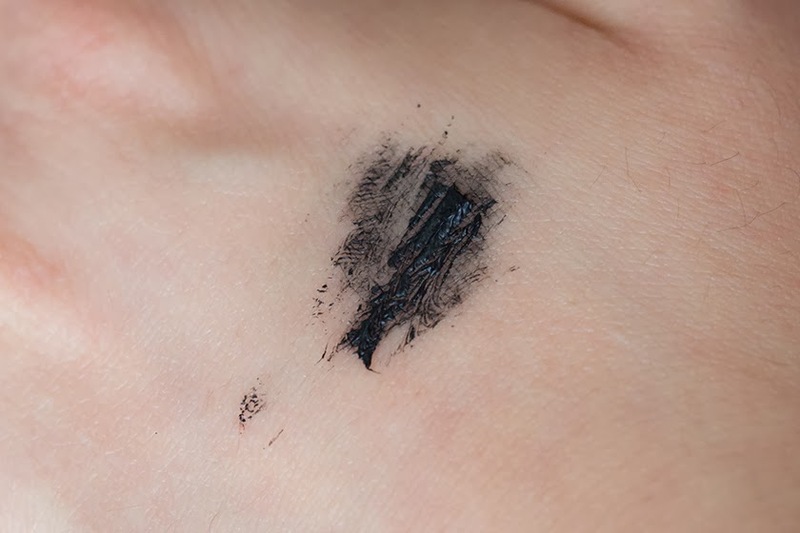 The shade I have is the Blackest Black, which is a very opaque and dark black that makes every lash look more apparent. In terms of voluminzing, I think, again, it's similar to Million Lashes that it provides more of a defined-many-lashes-look. Its staying power is pretty strong. It does not give me the panda eyes (unless I forget to set my undereye concealer). I have not experienced flakey lashes either. It holds the curls quite well that I would still see the flared out curls at the end of an 8 hour day. 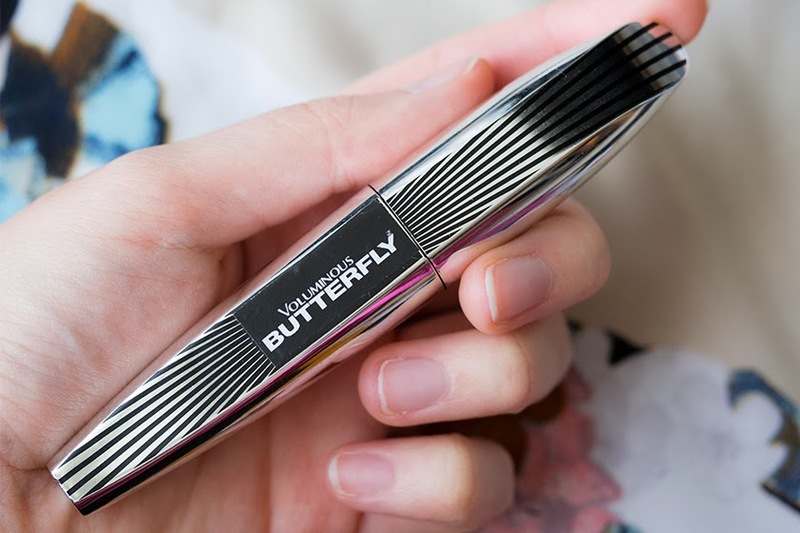 It might have been one of the more long lasting drugstore mascaras I've tried. Overall, it is a very interesting mascara. It is the first mascara that I have tried creates an obvious difference in the shape of the lashes. It does a great job in lengthening and defining your lashes. I feel that the definition it gives might have overshadowed its ability in volumizing. 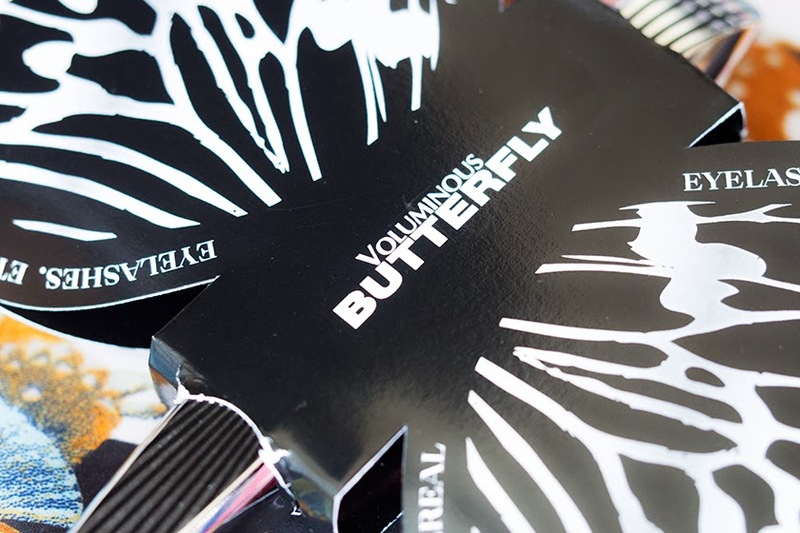 It might be on the pricier side for drugstore mascaras, but if you like the look of defined and flared out eye lashes, L'Oréal Paris Voluminous Butterfly Mascara is a great one to look at. Really want to try this! I have a coupon for L'Oreal so I think I'll get it sometime. Awesome post! I have this mascara and really liked the unique shape of it. It is super pigmented too, which i really enjoy. Great photos by the way, I really love your blog! Thanks Emily! I'm digging the shape of this mascara gives too, it's funny because I never liked flared out lashes on me, maybe they're too dramatic, whereas this is natural enough!